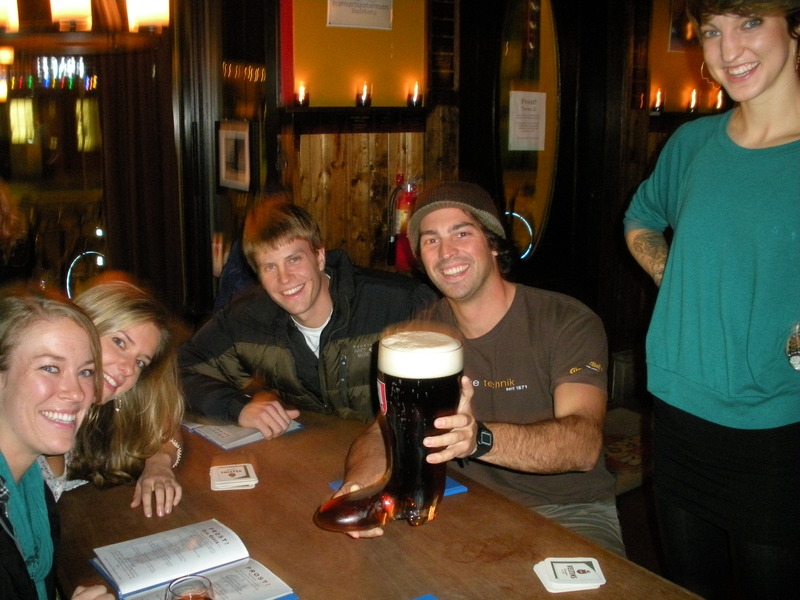 Many traditional dives and neighborhood taverns have disappeared from the Portland bar scene and those remaining are at risk given the economy and the tendency to transition the space into higher paying commercial tenants such as condos. It’s thus refreshing that a number of Portland entrepreneurs are willing to invest in both traditional and new watering holes. 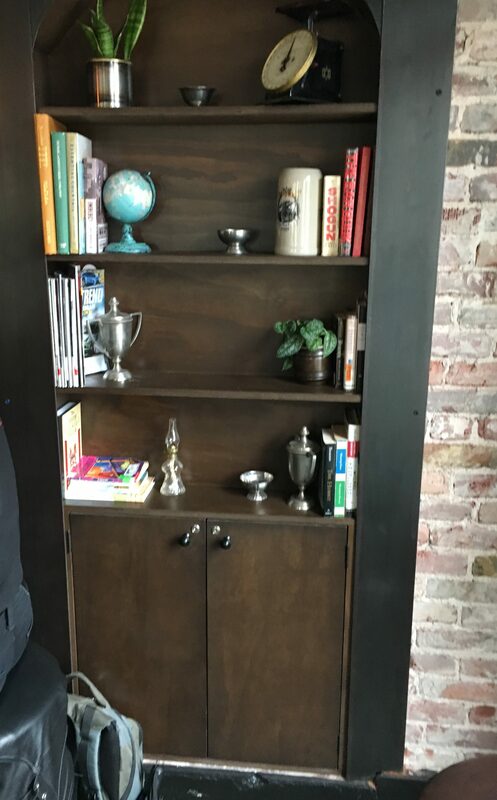 Rather than the corporate franchises who offer sterile environments such as the Yard House, one can still find quaint environments reflecting individual character thanks, in part, to the efforts of two partnerships – Dan Hart and Chris Navarra and there’s also Warren Boothby and Marcus Archambeault. Hart and Navarra are co-owners of some of my favorite Beerchasing experiences over the last seven years including Prost, Stammtisch and Interurban, all of which had great beer, outstanding food, wonderful bartenders and servers and an environment that makes one want to return on a regular basis. 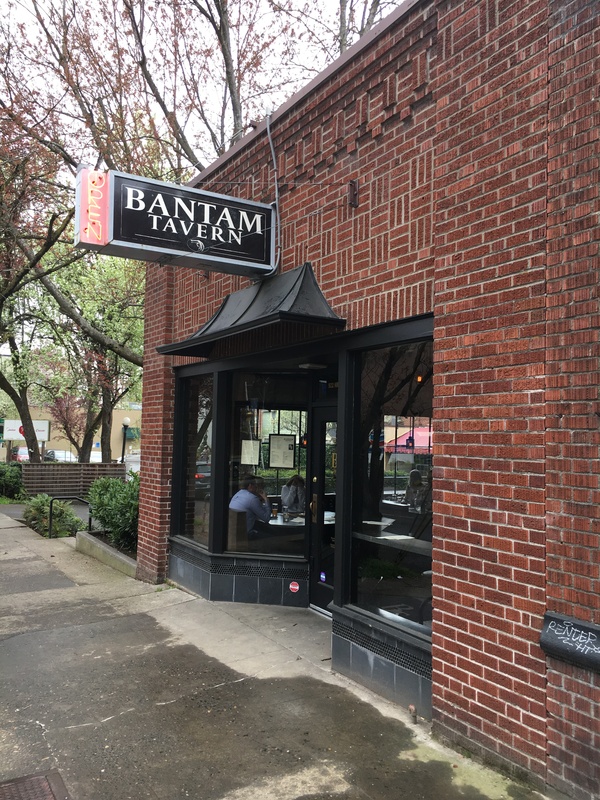 They have done it again with the opening of the Bantam Tavern on NW 21st. 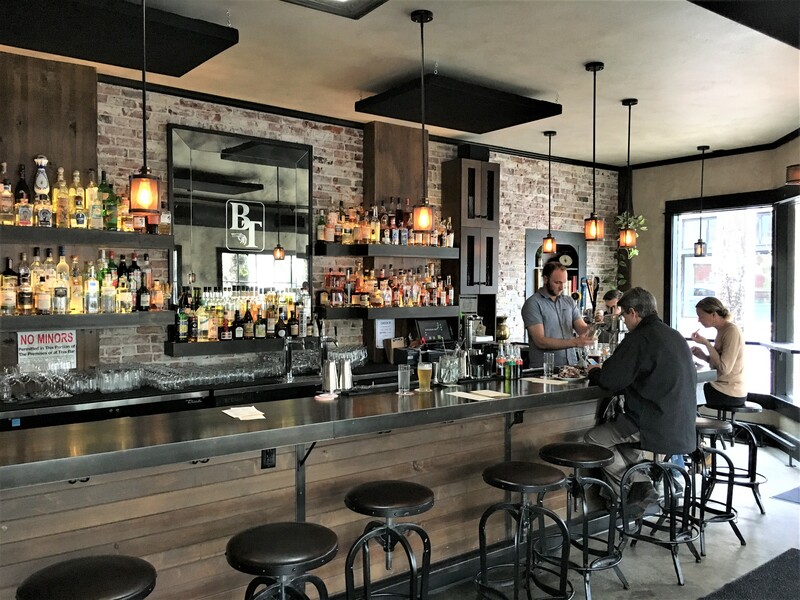 Other than to a limited extent in the Pearl District, the concentration of bars – especially good traditional bars – in the NW quadrant, pales in comparison to the Eastside. 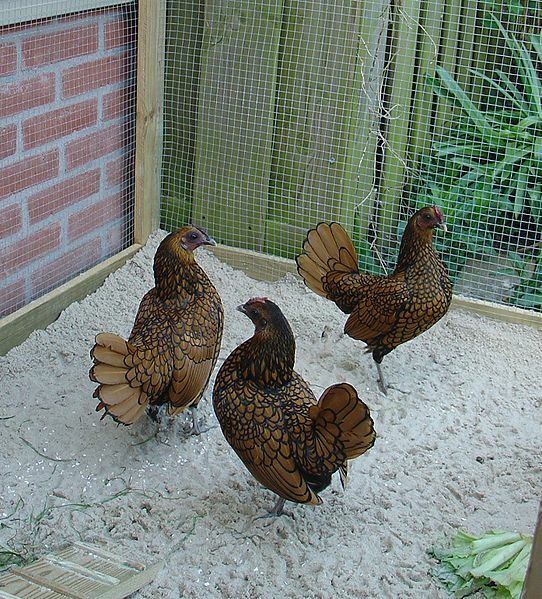 And the Bantam may be diminutive in total size, but packed with the kind of stuff that draws you to a bar. First, the building in which it’s located is an attractive brick building with an engaging entrance. 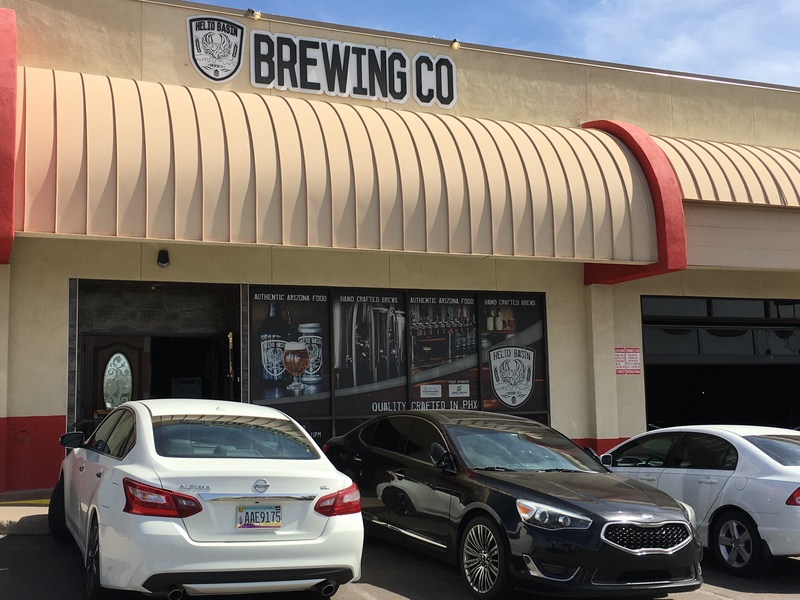 Typical Phoenix Brewery – good beer, but strip mall ambiance at Helio Basin. 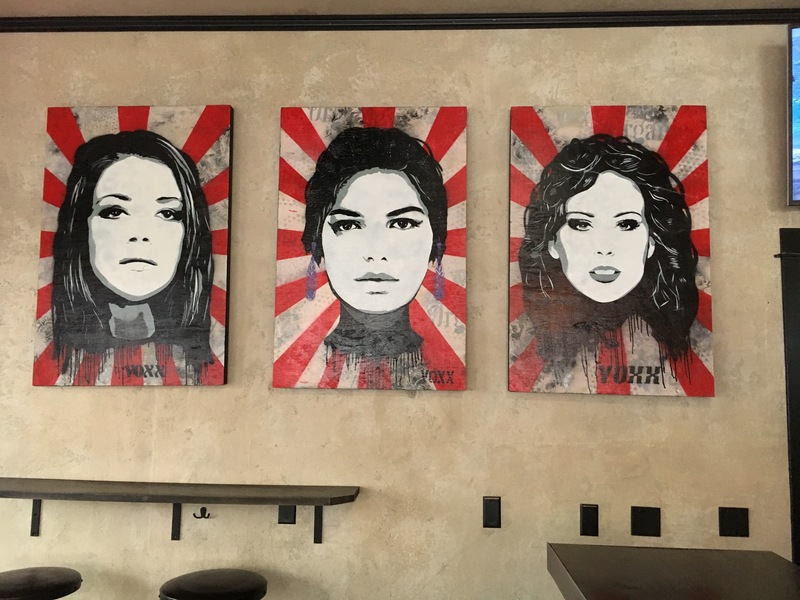 After recently spending a week in Phoenix in which it seems that about 90% of the bars and breweries – although they had good beer – are located in strip malls and have the ambiance – well….of Phoenix! The interior of the Bantam is attractive with only a few tables/booths, but a great bar and backbar. The art and interior décor is distinctive and there’s one TV that is tucked in a back corner, so not overly distracting. 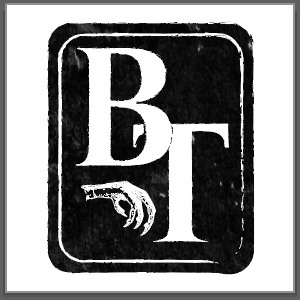 The idea to hit the Bantam emanated from my friend Steve Oltman, who works only a block away at Sealy Mattress and had said we should make a visit. Steve is a classy guy and I was incredulous that he was so positive — then I realized — I was looking at reviews for the Bantam Pub in Atlanta! This was Steve’s second Beerchasing event after hitting the Salty Rhino last December, which is a new bar in West Linn that is close to both of our homes. He’s, a Minnesota native and Moorhead State grad, has a contagious grin and is a good drinking buddy – besides his other great traits! They have robust Happy Hour options and each of us had a good Flensburger Pilsner for $4.50 – the first time I have tried this authentic German beer – a good option. 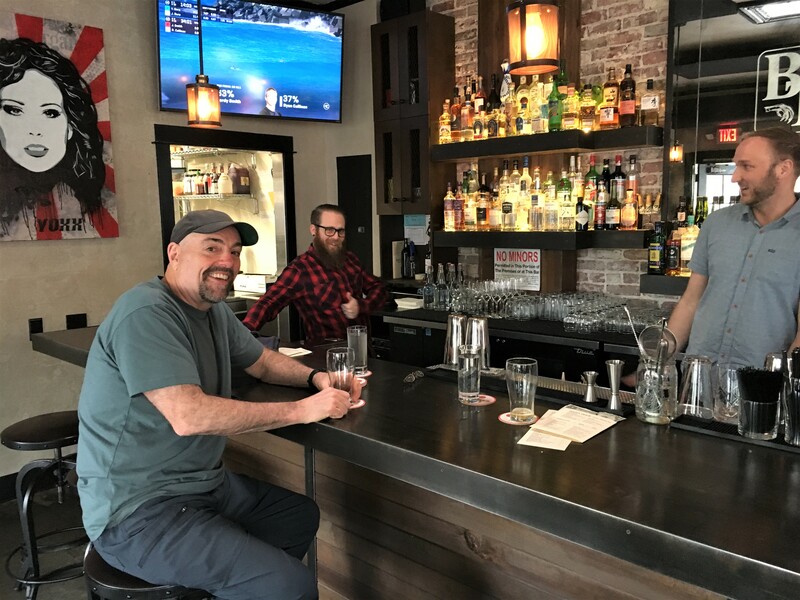 Otherwise, they have eight taps – with some excellent Northwest microbrews including Newburg’s Wolves & People Farmhouse Brewery’s Helder and a cider tap. Also ten diverse bottled beers, including Ranier and Budweiser for traditionalists and more esoteric options such as Tillamook brewery de Garde’s Framboise at $29 for a 750 ml bottle – “an average age of approximately 18 months, and refermented the blend with fresh Oregon red raspberries.” (Untapped) There are also eight wine options. Ollie Gahlsdorf, who previously managed Interurban, is the bar manager and stated that he loves the neighborhood and the patrons trying out the new establishment and “business since we opened has been great.” He garnered great reviews for his cocktails at Interurban and now has “designed the house cocktails, including the Lions,Tigers and Bears, a Jamaican rum sour with apricot syrup and allspice dram.” (Oregon Live 10/19/18). “Oh My! !” Jamaican rum sour with apricot syrup and allspice dram. 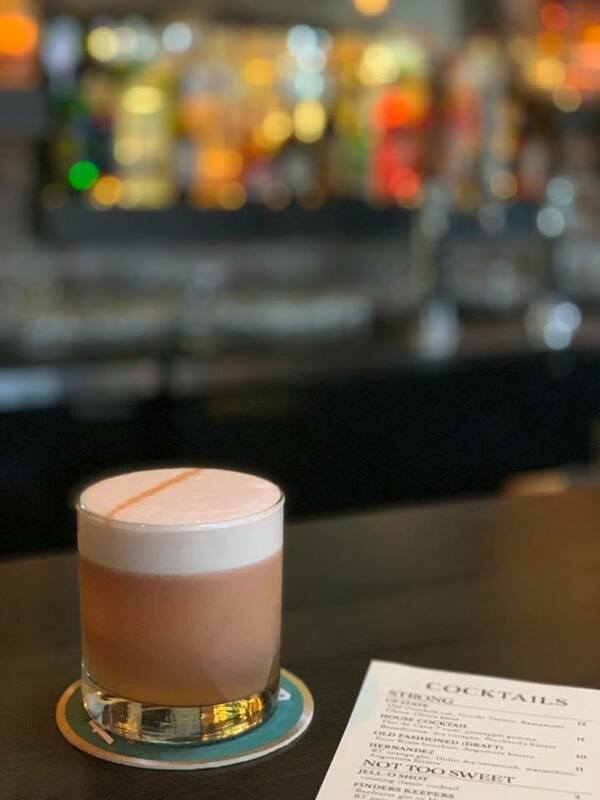 There are fifteen interesting options – helpfully broken into sections such as “Strong,” “Not Too Sweet,” (includes a jell-O-shot, “Hot Drinks” and “Sweet.” They range from $10 – $12 with steep discounts for the Happy Hour options such as an Old Fashioned. “Stammtisch chef Grahman Chaney plays more towards the sensibilities at Interurban than those at his day job. Both Steve and I are ready to try it when we return – probably in good weather so we can enjoy the nice patio and assuming our wives don’t accompany us….By the way, they also have a worthy assortment of munchies such as olives, popcorn (dressed in Parmesan & espelette pepper) and chicken legs that almost had me reaching over to the plate of the guy next to me at the bar for a sample. The fourth of Dan Hart’s establishments I’ve visited lived up to the experiences of the others and this bright, attractive bar has everything you want for either a casual beer or a night out. Steve’s recommendation was spot on.